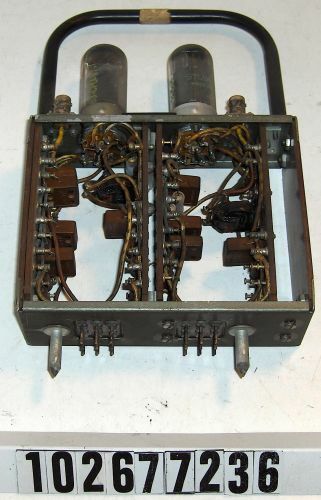 Object is a module with two vacuum tube sockets that are both populated. Engraved on top of unit is "CONTROL PULSE OUTPUT". Object has a paper tag which reads, "C10-4 P14."